I’ve taken apart lots of TV boxes and together with Realtek, Ampak are by far the most popular wireless modules to provide WiFi and Bluetooth connectivity in those devices. One startup decided to use Ampak AP6212 module, also found in NanoPi 2 board, to create a breadboard-friendly IoT board with Bluetooth 4.0 and 802.11b/g/n connectivity. The company also made a small baseboard called RBLink with ST-LINK/V2 for programming the board, and 8 connectors compatible with Seeed Studio grove modules. Particle Web IDE, Dev and CLI – A development platform that allows you to program your Duo online and wirelessly. 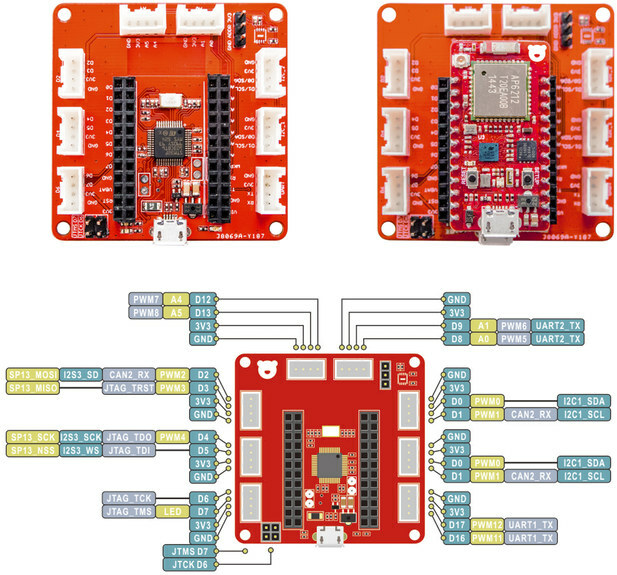 RedBear, previously known as RedBearLab, has previously developed 9 IoT boards, so the technical and manufacturing risks should limited it you decided to contribute to their Kickstarter campaign. 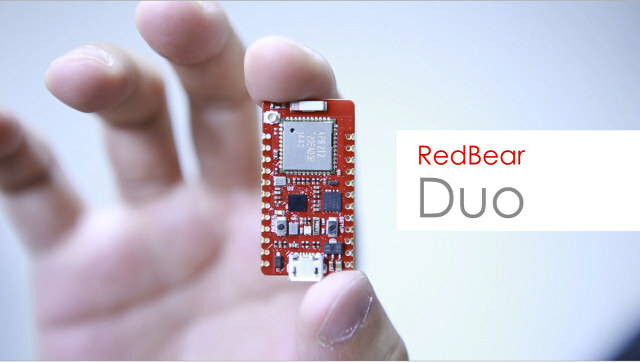 RedBear Duo early bird pledge is $19, but if you want to use Broadcom WICED SDK, or develop HomeKit applications, you’ll want to go with RedBear Duo + RBLink combo that’s $29 (early bird). There are also other rewards such as kits including some grove modules, as well as packs with multiple RedBear Duo and so on. Shipping is not included, but they’ve kept it affordable, and simple, since $5 is required whatever country you reside in, and whatever rewards you chose. RedBear Duo official product page should be where you’ll eventually get all the details. So this is essentially a Particle (formerly Spark) Photon with BLE? Not too bad of a price. Anyone already working with the Photon could easily pick up one of these to add Bluetooth if they needed. Plus it can be used with the Arduino IDE as well as others. Very interesting! That is surprisingly like the WifiMCU …. but with BTLE! Which is pretty significant. Actually, the most signifigant thing will be if these people actually wrangle together all the Broadcom WICED SDK libraries and do the Arduino integration themselves.